I’m always searching for special stays all over the world. Those special stays don’t have to be expensive, for me it’s way more important that it has an incredible location or an amazing view. And one accommodation with that special location is Villas Pico Bonito in Honduras. Are you going to Honduras? You definitely need to read on to find out more about this place. That this place is called ‘Villas’ doesn’t actually mean that they offer villas. With ‘villas’ I always think of huge and boring resorts. What they do have are cute apartments. And the location is what makes these apartments special. The view from here is absolutely amazing. Mountains full of vegetation are right in front of you, just like a wild river full of rocks. Toucans are saying hi around 5pm and now and then you see some people rafting by. In the early morning the mountains are still covered in a blanket of mist, which is pretty magical to see. In the afternoon the mountains are really green, because of the sun. The sound of the wild river, the singing of the birds and the loud noise of the insects are making you feel alive. Can you imagine you hear all this while drinking a beer with an amazing view right in front of you? 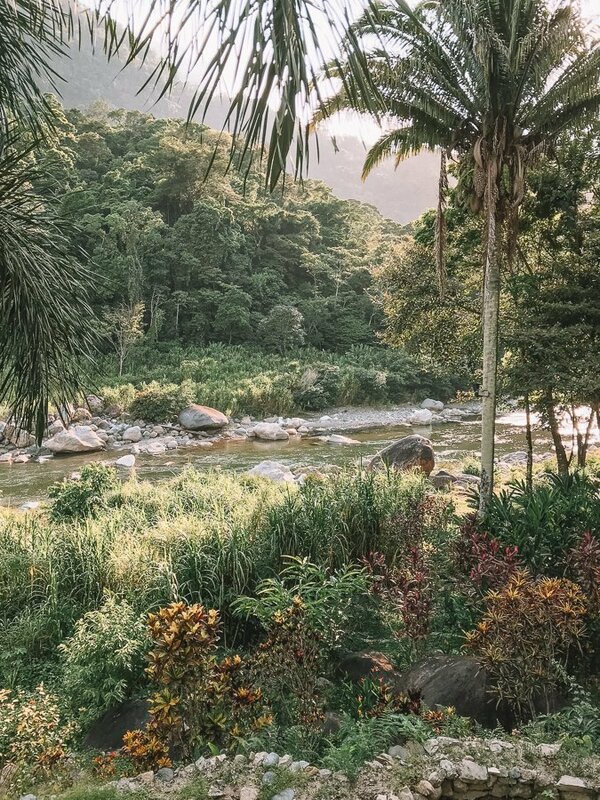 Because you’re in the middle of the national park Pico Bonito, you can easily go on an adventure, like rafting, hiking, mountain biking, kayaking and more. But you can also stay at the apartment and hang out in the beautiful pool. 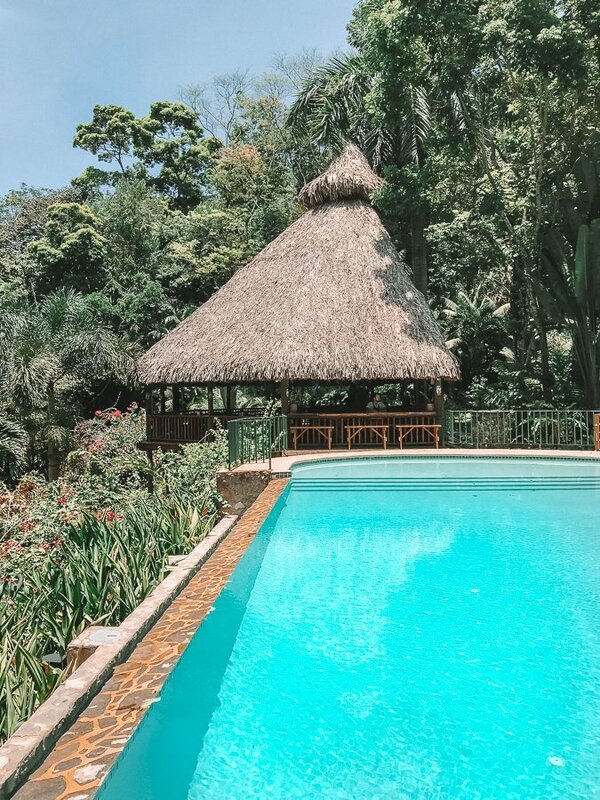 The infinity pool is located in the centre of Villas Pico Bonito and from here you have an awesome view over the mountains and the river. It’s definitely not a punishment to lay in the pool all day. Or you can order a cocktail and hang out by the bar. There is plenty of room to relax and do nothing. You can have lunch or dinner at the restaurant with a nice view over the river. The restaurant looks really beautiful with wood everywhere. You can also buy some food at the supermarket and cook a meal in your apartment. We stayed two nights in an apartment that was big enough for two people. It has everything you need, including a kitchen and a terrace. Like I just said, I recommend buying some food at the supermarket in La Ceiba before you go to Pico Bonito National Park. There’s no supermarket in the park. The shower has hot water (a lot of accommodations in Honduras don’t have hot water) and the wifi is very fast. You can relax at your own terrace with a gorgeous view. You won’t be bored, that’s for sure! 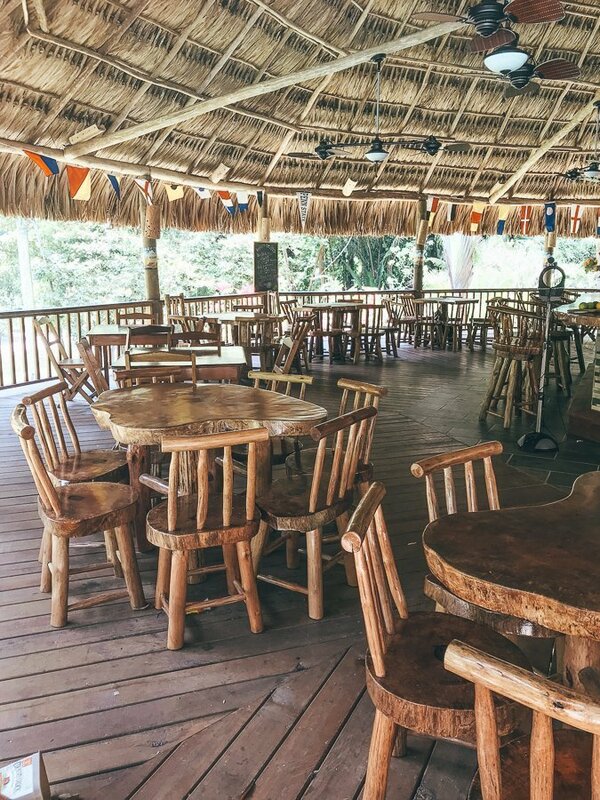 Are you excited to stay at this place during your roundtrip through Honduras? 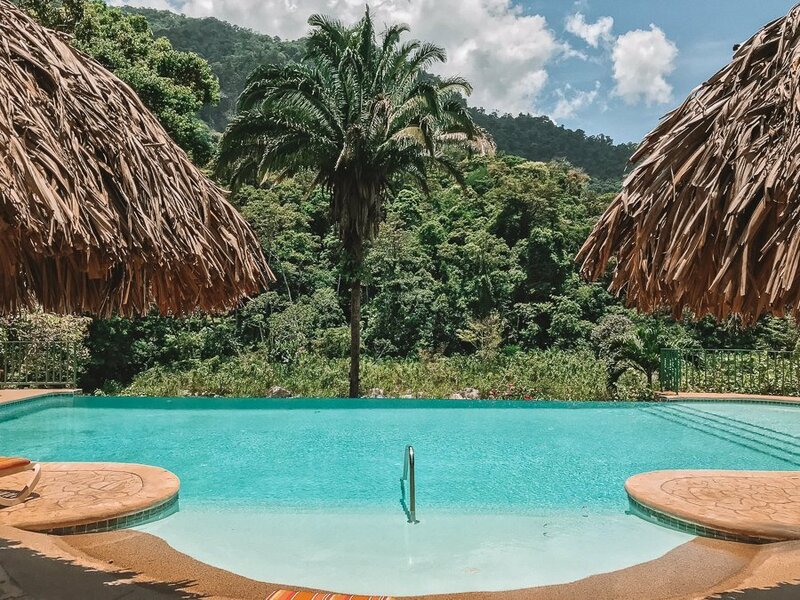 Just have a look at the website of Villas Pico Bonito to see what they’re offering. And are you not convinced to go to Honduras? Just read this article, where I’m giving 13 reasons why you should go to Honduras!